It's no secret men like to overestimate themselves. This campaign shows just how deep male entitlement... er, runs. This disparity is what happens when parents give boys footballs and girls Barbie dolls in their formative years and pigeon-hole them into boxes. 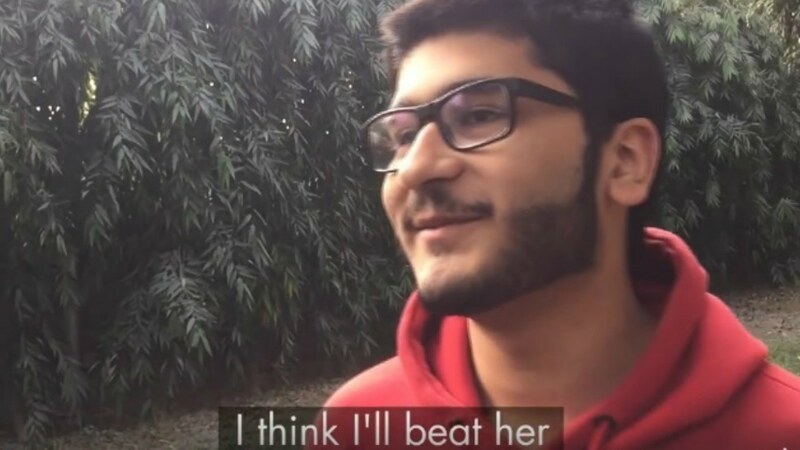 Pakistani society is plagued with patriarchal ideologies and UN Women Pakistan is ready to fight the system with its #BeatMe campaigns. 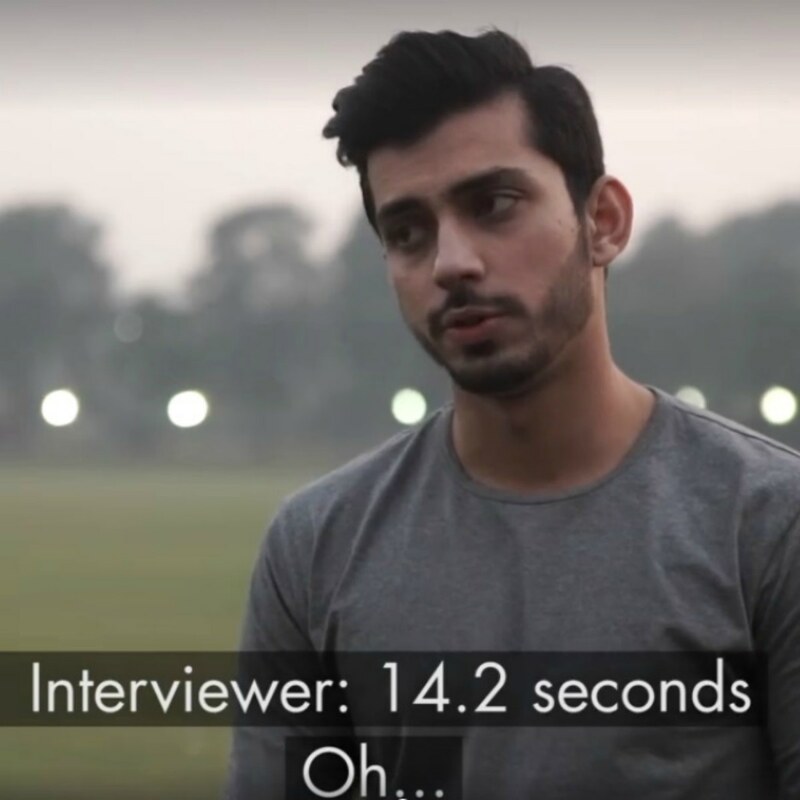 In the campaign's latest video the initiative went around asking men if they could beat Pakistani runner Naseem Hameed's record time, which is an impressive 11.81 seconds for a 100 meter race. The men shrugged and stuck out their chests thinking they were going to beat Naseem like it was a piece of cake. "I'll do it in 10, maybe even 8," boasted one man. So these men were put to the test. But could they beat Naseem? No. After his run was recorded, one guy shared, "I think I did good" only to find out his time was over 16 seconds. The joys of the inflated male ego. As the video aired on Facebook ego-bruised men watching the video have commented: "But these guys are not professional athletes [like Naseem] so it's an unfair playing field. There is no competition." Which makes this video even more revealing. Even if men are mediocre, they think they can one up a trained field and track athlete. Fastest woman in Pakistan, sure, but still beatable by a man. 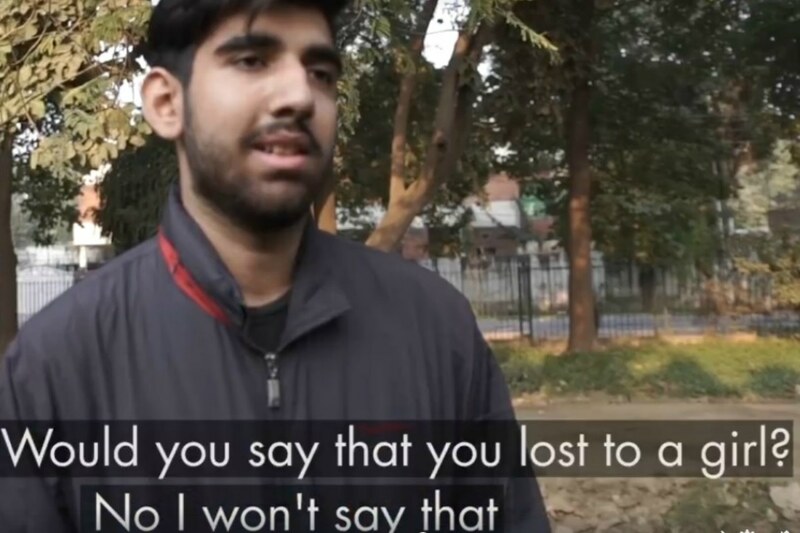 The video is telling of how deep entitlement runs in Pakistani males — it runs so deep they think they can outperform a female athlete with no training. It also shows how women are scrutinized much more than men even when they perform to the best of their abilities, which ultimately leads to them not stepping up and being assertive in other facets of life, such as the workplace. Men, on the other hand, will perform subpar and still walk around like they aced whatever job they took on. Shout out to the men who gracefully accepted defeat (all two of you!). As for the guy who still couldn't stomach losing to a woman, well, there's always going to be that one guy (at the very least), who's deliriously proud of his poor achievements. Where do we sign up for this kind of unwavering self-confidence? 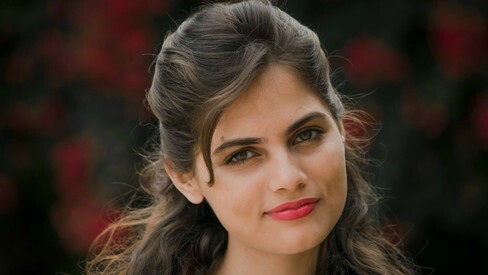 We were on the fence about UN Women Pakistan's last video; a clip featuring mostly women of privilege, talking in English, decked up in fine clothing and make-up trying to shine a light on domestic violence. The message for that one got lost in translation and came off reductionist but this one's a win for us. Next time someone says you throw like a girl or you run like a girl,we're totally showing them this video! My wife is far ahead fromme as far as professional competency is concerned, no doubt about that. People think its a gender problem when it is really about who is better than who. Male better than female or white better than brown or tall better than short or senior better than junior. Its really ego that allows one to find deficiency on others to cover up theirs. Me and my wife we both are software engineers, and she have better skills than me. But what will you say about that in each and every international sporting event, men and women are never compared or compete with each other. On the other hand Men almost dominate each and every sport by means of records. Still there are some areas in which women dominates. Great write-up. Well the world's fastest man ever (i.e. Usain Bolt) has run 100m in over 9.5 seconds - no other man in history has run quicker than that! But we Pakistani men are so talented that some feel they can do it in 8 - just because the fastest woman did it in 11.8 sec.... that's how much superior men think they are here. I used to play tennis, swim, do regular running and play football. I would say I have been pretty athletic (although not muscular) all my life and my best time for 100 meters was 12.67 seconds. Even then I was the fastest sprinter throughout my school, college and university, except for a lad or two who would beat me narrowly. 11.81 seconds would be an extremely good time for an athlete and would easily earn any man a finals spot in Asian games. This lady is something else. I bow down with respect, may lady. Sure that would get him the first Olympic medal in last 30 years. Those glorious 11.81 seconds of her life rejuvenated the spirits of the entire country for days. The Sprint Queen, Naseem Hameed. @SARA exactly! They just went up to some random guys who were running around a park and asked them about this. They know nothing about sprinting or sprinting times. Go up to these guys and say the same thing about a male sprinter's time and they would probably react the same way. Guys; lets admit girls are better then boys. That's what I tell my wife. 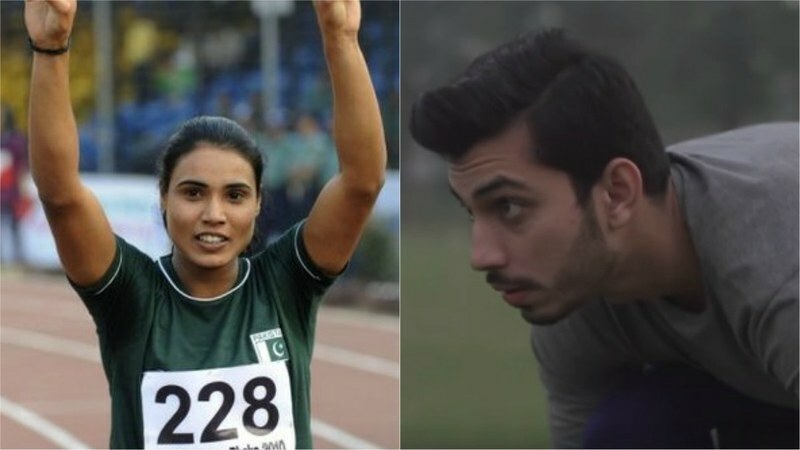 i'm not sure why people are not getting what this story tells, "The video is telling of how deep entitlement runs in Pakistani males — it runs so deep they think they can outperform a female athlete with no training." Doing 100m in under 12s is far more difficult. after a certain time deducting each second from your time becomes even difficult. But this sentence, "The joys of the inflated male ego." is just too much harsh. It is more ignorance than ego. these same people would probably say the same if she were a man. People just dont know how difficult it is do. Lets accept it with a pinch of salt that sometimes women are better than men in all sorts of different things. No shame in that. And a 2006 study in the same journal revealed that men had much stronger grips than women — the difference was so big that 90 percent of the women scored lower than 95 percent of the men. The team also looked at highly trained female athletes who excelled at sports requiring a strong grip, such as judo or handball. Though these women did have a stronger grip compared with other women, they still performed worse than 75 percent of the men on this task. As men and women differ in their physic, they cannot be same in every field. Also its proven that their brain neurological pattern is different. So their thinking process alao varies. Doesn't mean one is superior to other.